What could be better than having 3 days at Teton Village in Jackson Hole to test a quiver of hundreds of snowboards and powsurfers? 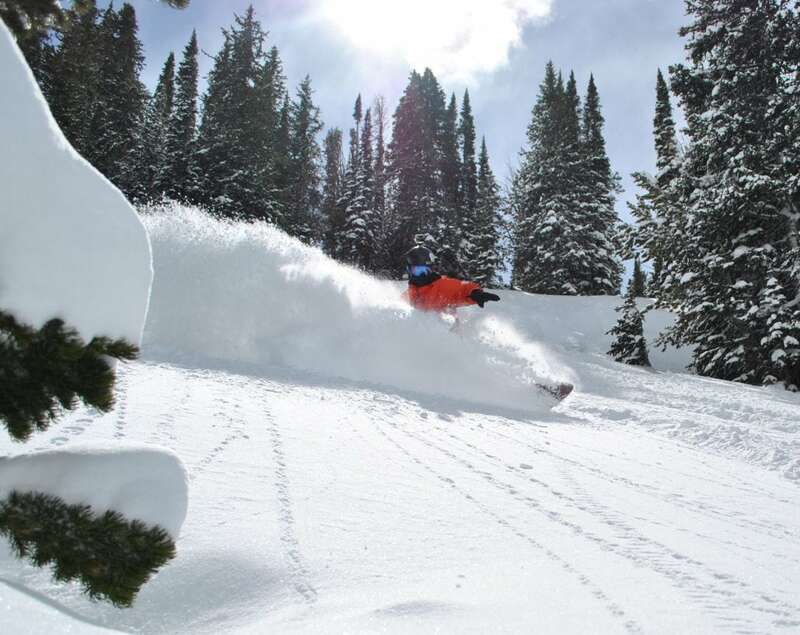 Having 50″+ of fresh pow to test them in I suppose. We had both this year at the Jackson Hole Pow Wow. Stoke was thru the roof at this year’s Pow Wow and the event went pretty smooth considering it is organized and run by one guy… one hell of a guy I should say. Rob Kingwill. Rob’s passion for snowboarding is extreme to say the least and he pours himself into this event, taking on risks of all kinds.. Imagine the havoc a couple hundred snowboarders could reek on a place! Fortunately Rob invites the best of the best to this event. People who not only share his passion for riding but who also share a responsibility to help our lifestyle flourish. A group dedicated to pushing progression of board shaping, who also do their part to build and strengthen the community. Being able to test all these boards, ride together, and share ideas is such a great step in making a stronger and more informed community. Shapers are able to get real world feedback from experienced riders and other shapers/brand advocates, take it all in and get back to their shops to make even better products. One of the best things about the event is that nobody is stuck in the tent hovering over their products, we all get to go out and do what we love most. Ride with good friends and make new ones. 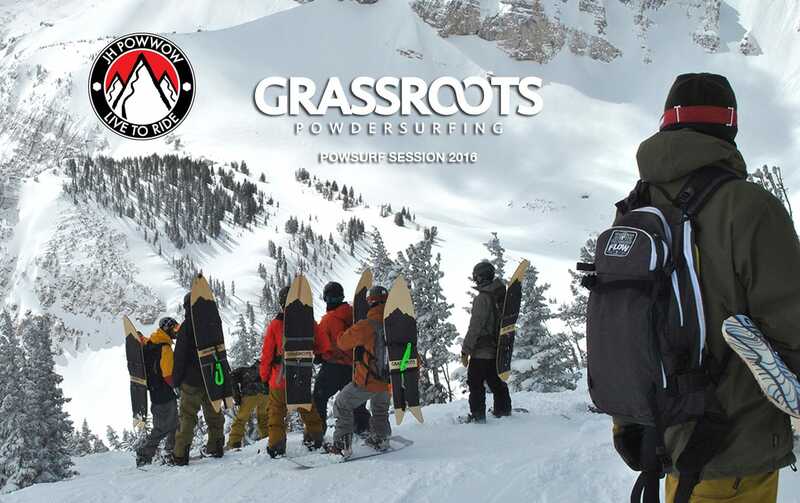 What business does a company like Grassroots Powdersurfing have at an event like this? 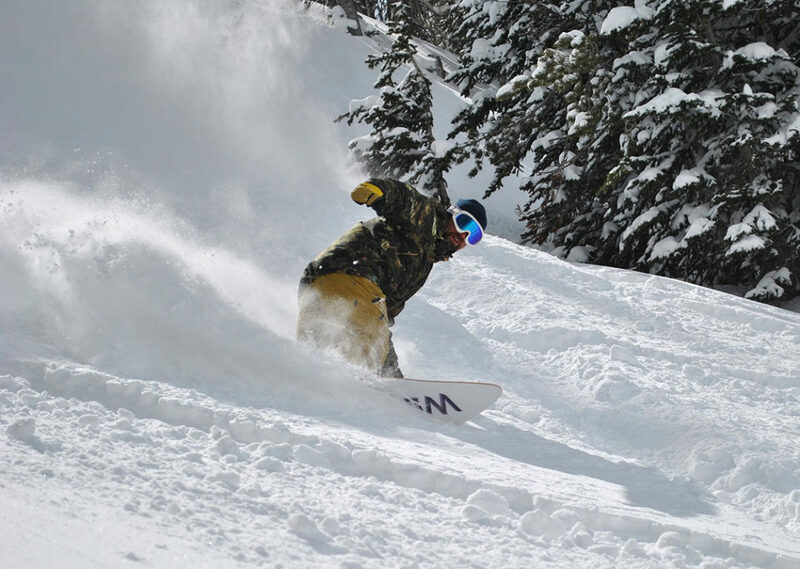 Well, we have seen a pretty significant impact that our shapes, style of riding, style of business, and lifestyle in general have had on the snowboard industry over the past decade. When you have huge brands like Burton and Jones and many many small companies trying to create products similar to what you’ve been making for a decade, that is pretty telling. Not to mention the design shifts in snowboards, quiver mentalities, and the “return to the roots”.. movement that has been our foundation since the beginning. Not bad for a garage operation run by one guy who happens to also work 2 other jobs to support his family… selling a product that nobody had ever heard of just a few years ago. 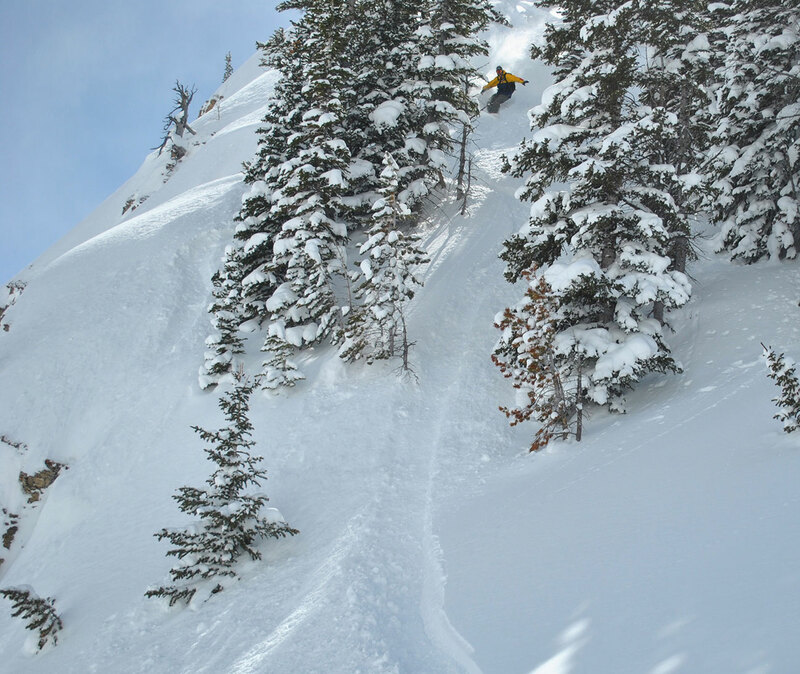 So we think Grassroots Powdersurfing most certainly has a place here. 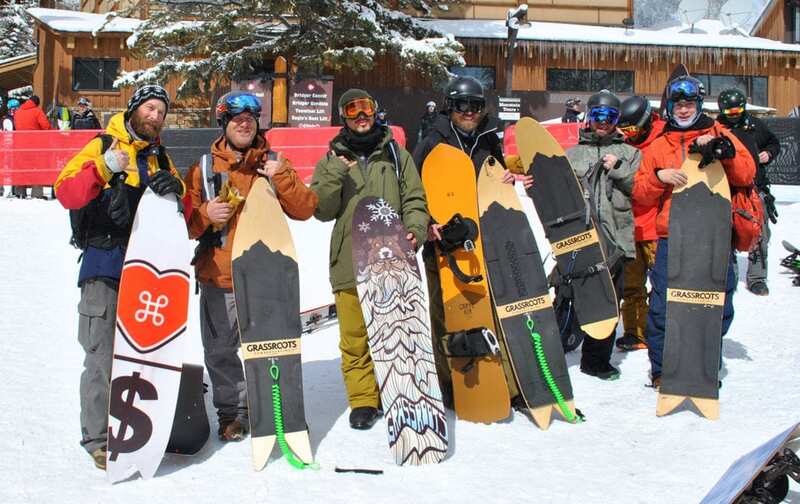 While we are constantly overlooked and rarely credited by the media and these huge snowboard companies, our influence shows up loud and clear throughout the snow riding community. It would seem that passion, creativity and individuality speaks louder than the giant marketing budgets of huge snowboard companies trying to push the latest fads (or recycling the old ones). For more info on the JH powwow check out their website. Jhpowwow.com or visit their Facebook page. If you see Rob Kingwill give him a high five and a hug for organizing and following through with an amazing event. Here’s a quick video summarizing our session. 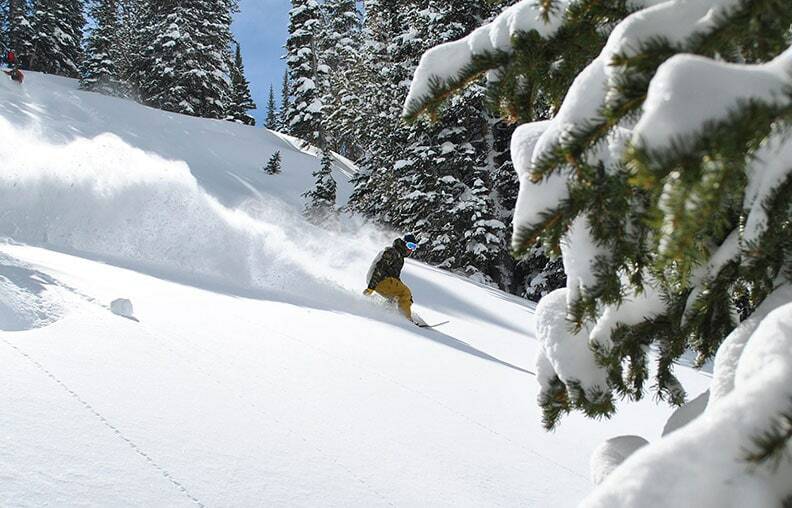 So many smiles, laughs and powder caked beards!